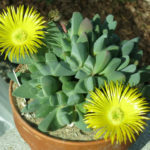 Cheiridopsis brownii Schick & Tisch. 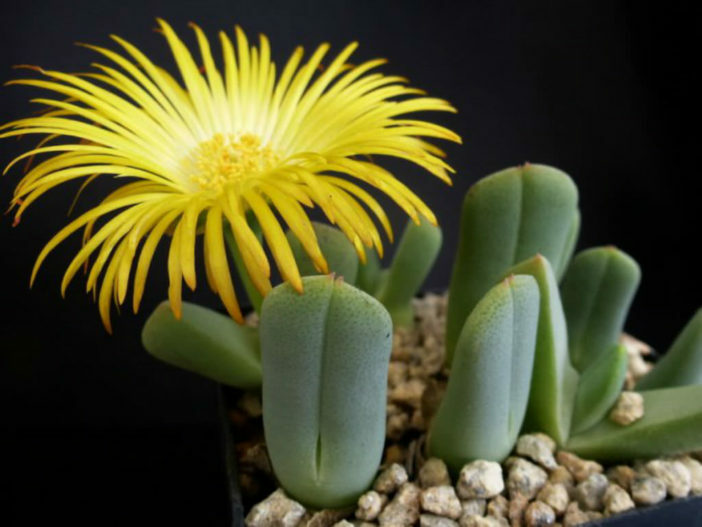 Cheiridopsis brownii is a small, cushion forming and low growing, leaf succulent, that forms clumps up to 4 inches (10 cm) in diameter. 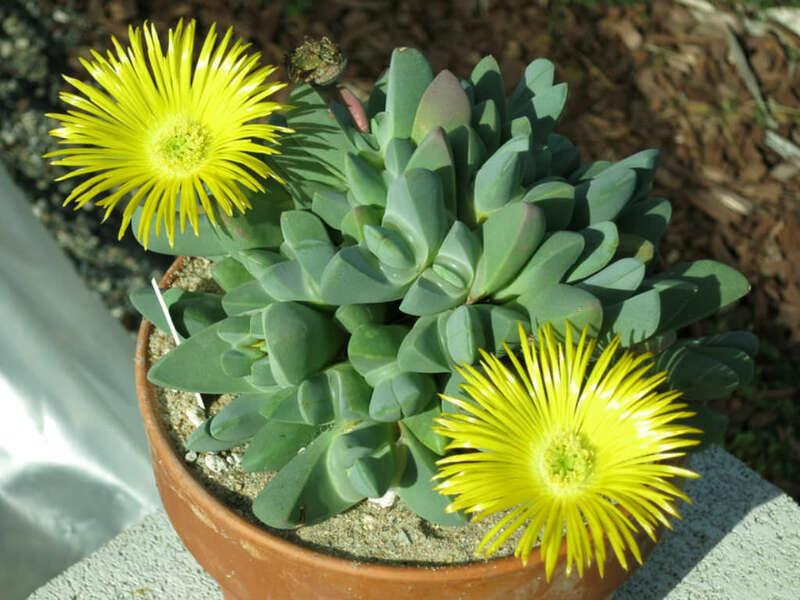 The stem is very short with only 2 or 4 leaves. 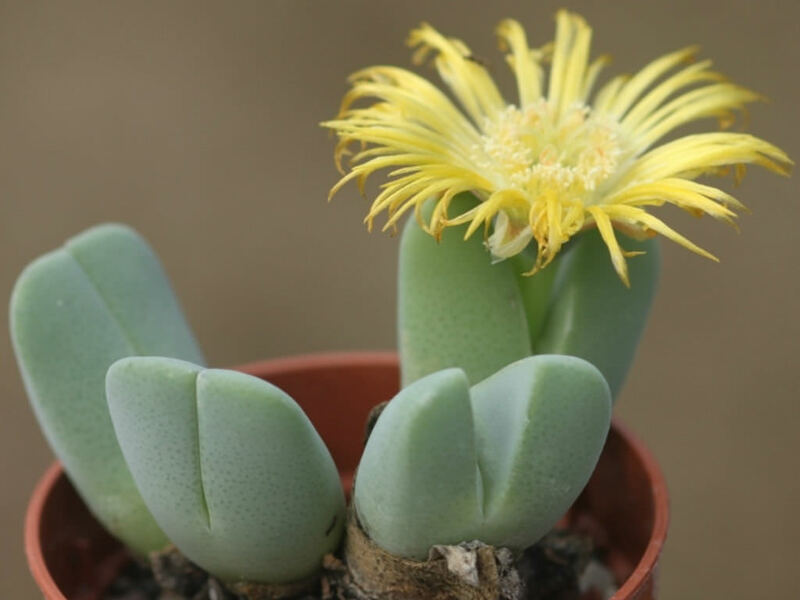 The leaves are bluish-grey-green, up to 2 inches (5 cm) long with darker green dots, united to form a conical body. 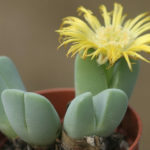 The flowers are yellow, up to 2.4 inches (6 cm) in diameter and appear in fall. 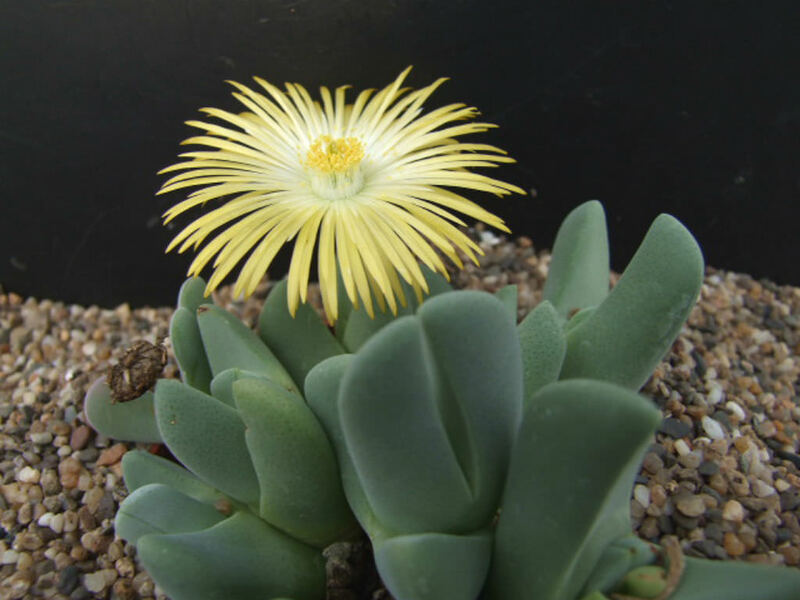 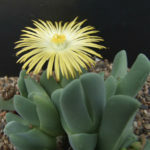 Cheiridopsis brownii is native to South Africa.